The Star Wars versus Star Trek battle is about to get a whole lot more interesting. 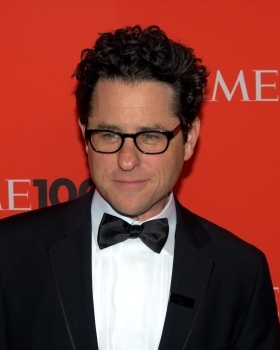 Back in December, director J.J. Abrams said that because of his loyalty to the Star Trek franchise he'd just rebooted, he had no desire to be involved in any of the new Star Wars films. "I declined any involvement very early on," he said at the time. "I'd rather be in the audience not knowing what was coming, rather than being involved in the minutiae of making them." There are virtually no details at this point, but the word on the street is that Abrams has signed up to direct Star Wars VII, apparently beating out contenders including Ben Affleck and Jon Favreau for the job. According to Variety, Disney, which acquired Lucasfilm and all things Star Wars last year, is in the process of closing the deal. Abrams is currently at work on Star Trek: Into Darkness. Star Wars Episode VII is currently in pre-production and expected to come out in 2015.